You can't deny that the palette is hella pretty - I mean, when I saw the initial release pictures I nearly combusted. It's a damn good looking palette, okay? 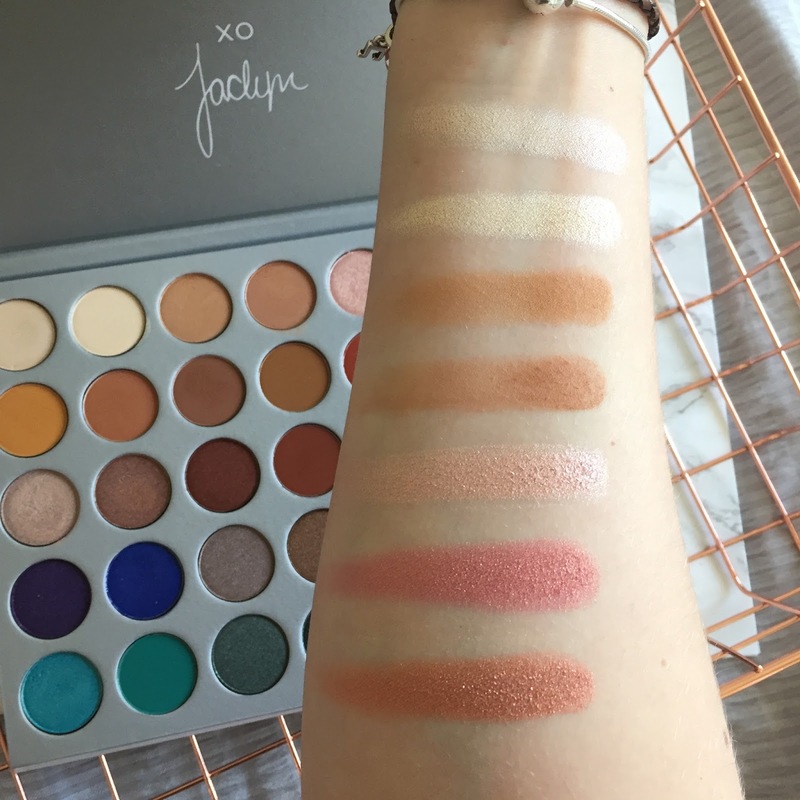 With 35 brand new eyeshadows that were formulated, tested, re-tested and perfected, because Jaclyn Hill is a lil bit of a perfectionist - but anyone who watches her videos knows that and probably still loves her anyway. 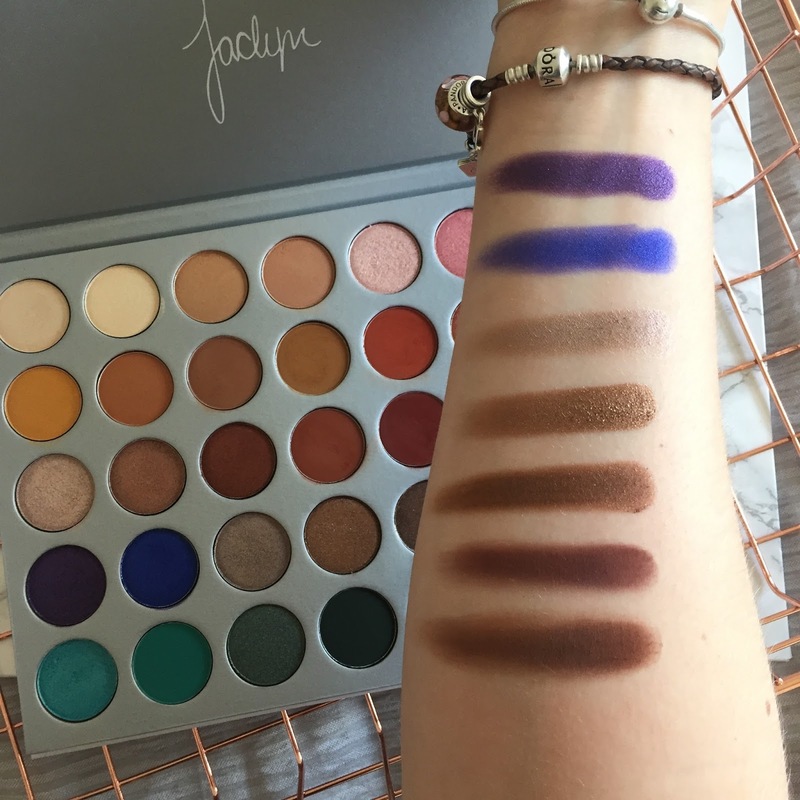 The palette took 2 years to create and each of the eyeshadows is a never-seen-before shade. The palette itself includes a dandy little mixture of mattes, shimmers, satins, foils and pressed glitter and oh LORDY are they pretty. 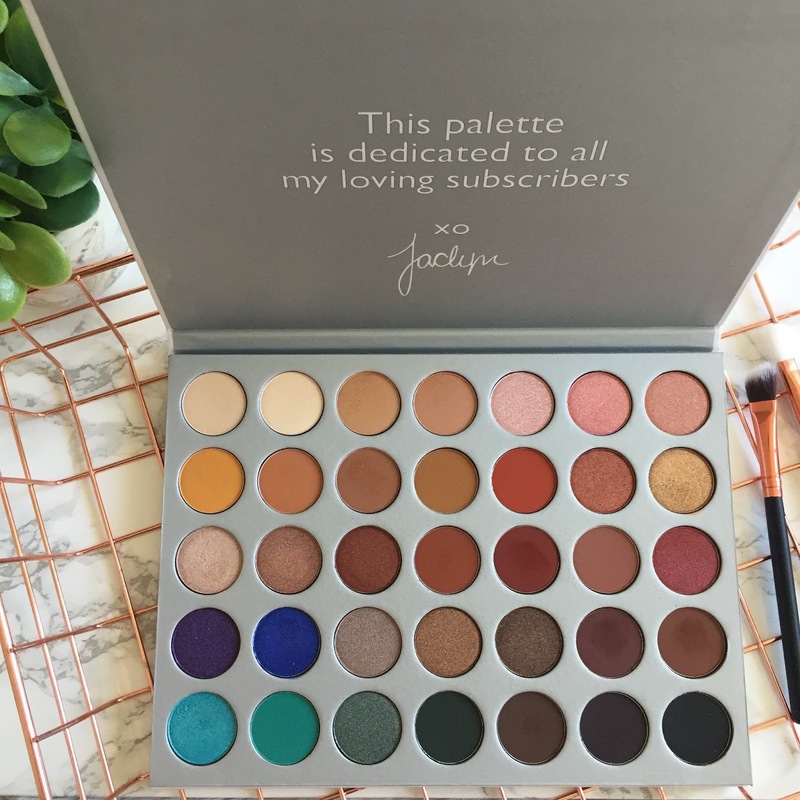 Don't forget to check out Jaclyn's video all about this baby where she explains not only the palette and shades, but the thought process behind the whole thing. She also talks about why each one is named what it is, which I thought was super cute. I ordered the palette the day it came out (soz) and it actually came in 5 days. 5 DAYS. TO THE UK. I was happy, to say the least. 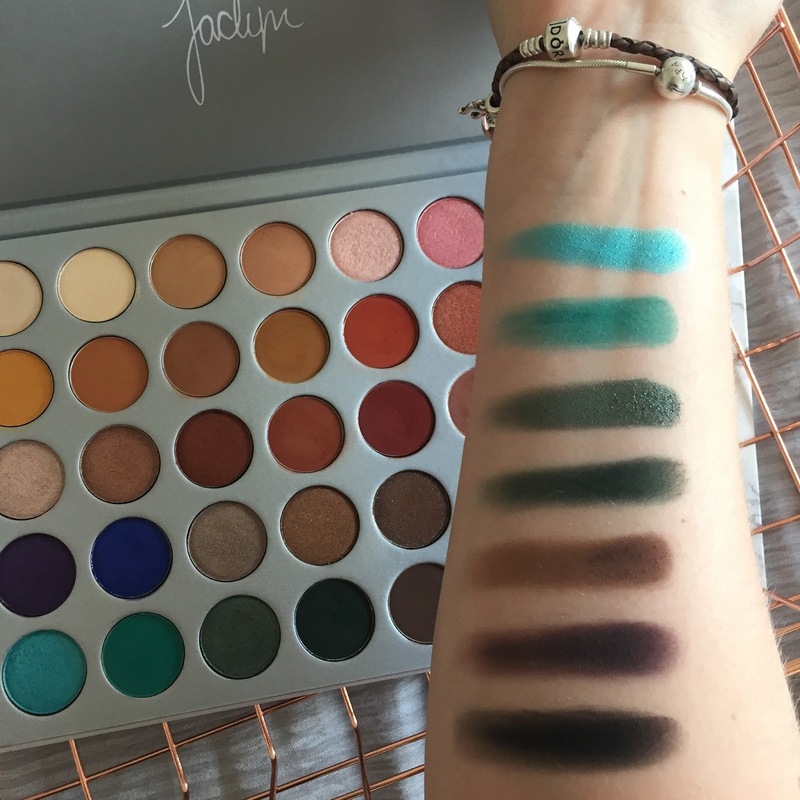 The one thing I was gutted about though was the fact that mine didn't come with the little shade name sheet, as Morphe doesn't put the shade names in their packaging. Firework - sorry, did I say autumn? This shimmering hot red/warm brown/copper is something I don't know how I lived without. It is literally like a firework. Obsessed - if you're looking for the perfect all-over-lid shade after mastering your poppin' smokey eye, this shimmery cool champagne kinda colour is it. 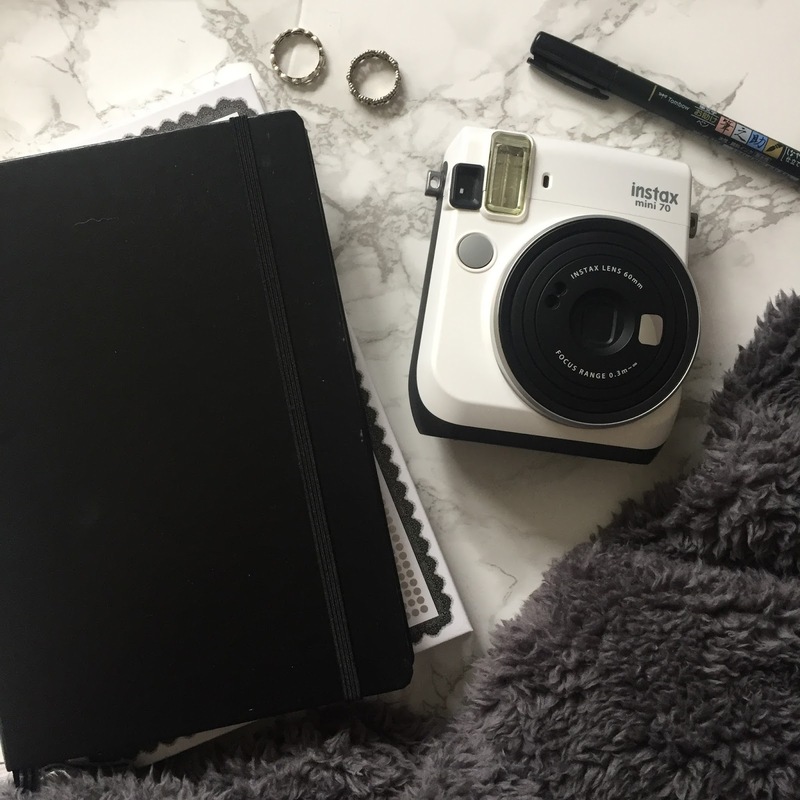 Abyss - who doesn't need or want a matte black in a palette, eh? These eyeshadows are not only crazy pigmented (especially the shimmers), but they're so easy to work with. I own a few other Morphe palettes that I already love and cherish, but this palette is like a whole other ball game. 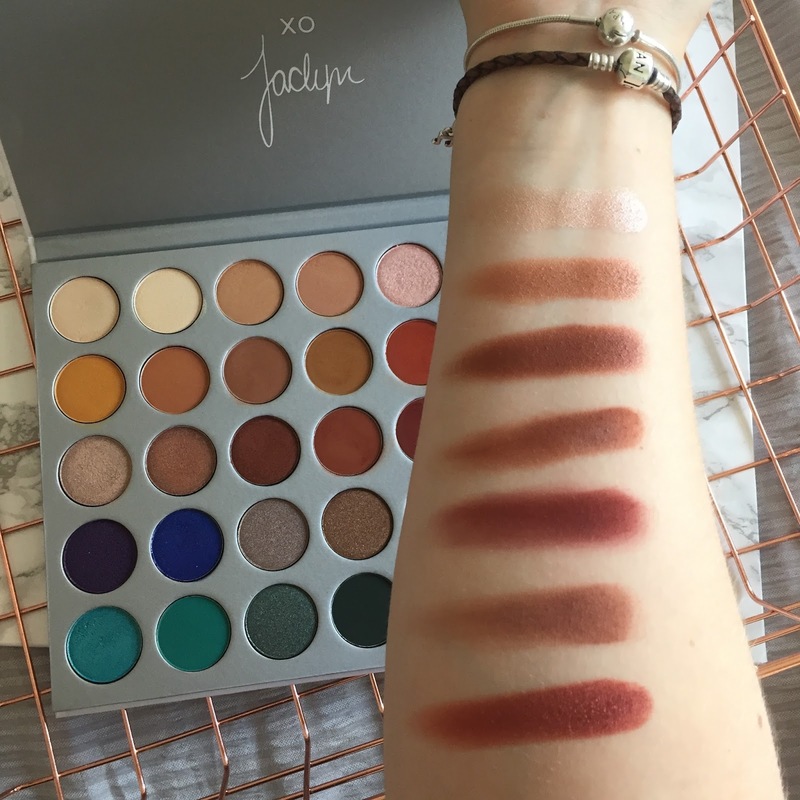 You can tell that everything is new and improved, you can see the love that was put into creating it and for such a great price (even if it has been a bit controversial because it's more expensive than the regular palettes), I definitely think it's worth picking up and trying for yourself. Although I will say once again, if you're ordering to the UK, shipping is EXPENSIVE. And you WILL get hit with customs - mine came in a letter 2 weeks later saying I had to pay the fee. More than a little heartbreaking. I can't wait to create more looks with this and experiment with some colour combinations. I freakin love having a palette you can do so much with - some would say "it's the only one you need" but let's be realistic, we all need 50 of the same neutral shade of brown, don't we? Hashtag basic. 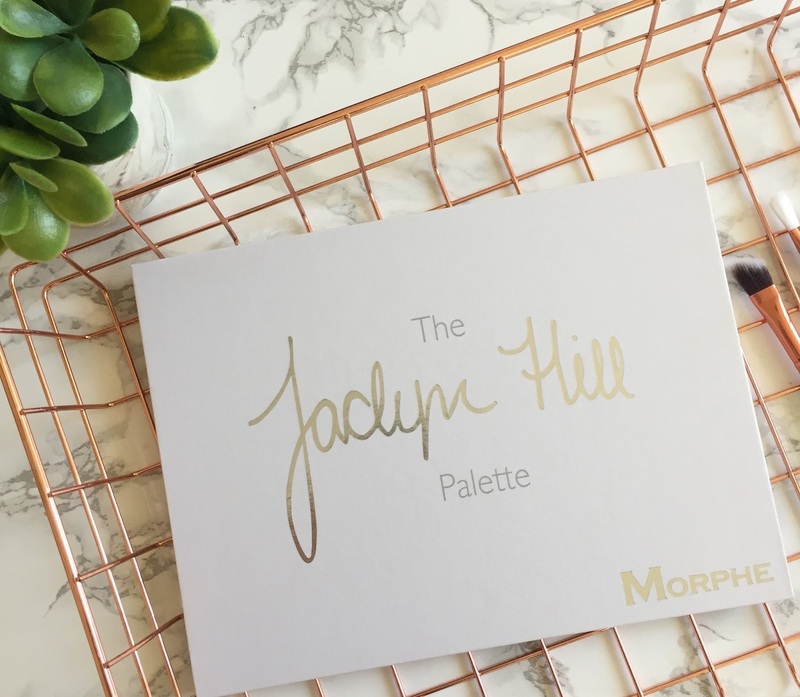 Don't forget to sign up to see when the palette is next dropping so you can snap one up for yourself! I'm so jealous! I really want this palette, BADLY. I was accepting of the price and customs charges, but when I saw $15 for delivery on top it just seemed too much. But now I cry every time I see someone else use theirs ha! Glad you like it! The shades are absolutely stunning! They're literally perfect for every occasion, like there's no shade not to use. 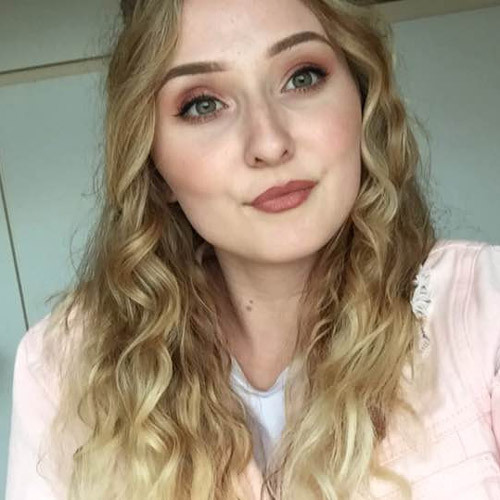 Love the look you created too! 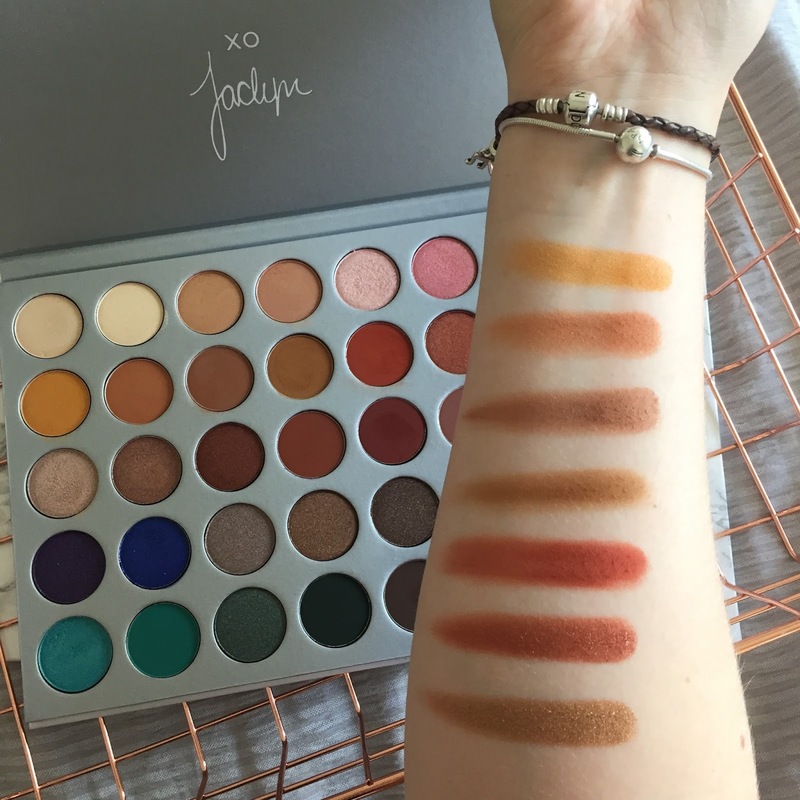 These shadows sound incredible but I am so hesitant with things like this because of the shipping cost to Australia, which I'm assuming would be massive! 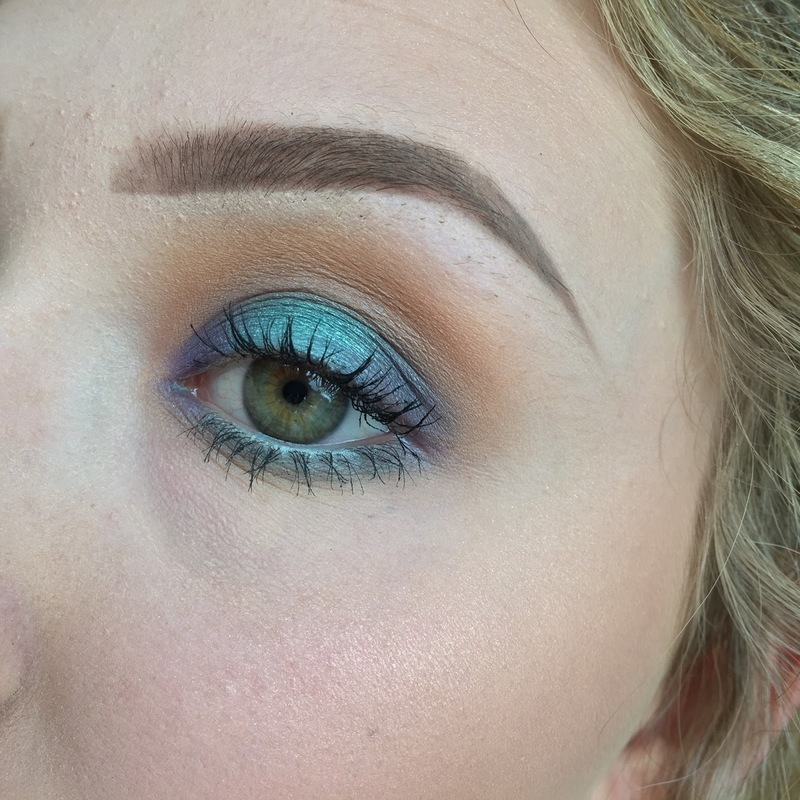 The quality of these shadows sound really good as well, what do you think they are similar too (like a brand) formula wise if you had to compare?